Known since 1961 as the headquarters of the famous magazine Reader’s Digest, the 215 Redfern , located at the heart of the city of Westmount, showcased most recently the construction of 62 modern condominium units with a luxurious indoor pool and a gym on six floors and a roof terrace with city views – a project valued approximately $32 Millions. The transformation of the old standard concrete building on four floors of a luxurious and prestigious building with huge curtain walls, granite siding extending over 40% of the outer surface and an indoor pool on the 6th floor, the former Reader’s Digest reborn with a contemporary look and completely different use and purpose. With its high ceilings, swinging windows and an unique sound insulation, the 215 Redfern is the result of luxury, comfort and modernity. 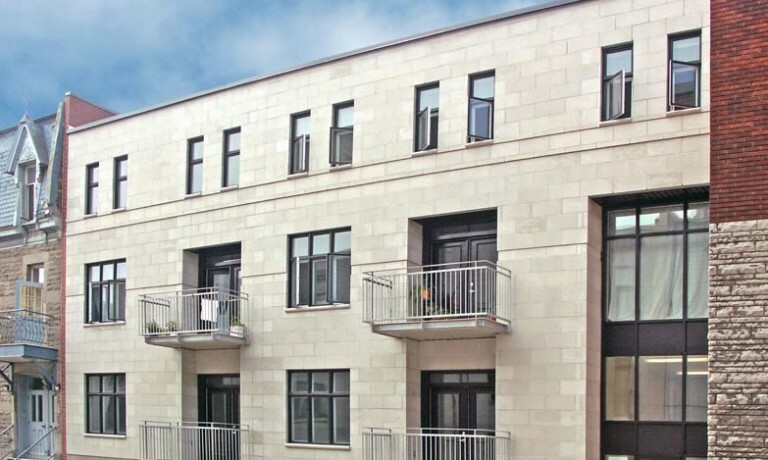 The complex excavation works in the existing building gave life to a parking garage on two levels in the basement to accommodate the new residents of the building. The stripping works of the old offices and addition of two upper floors have led to the creation of new spacious condominiums and more common spaces to meet the residents needs, including a gym, an indoor pool and a rooftop terrace. The professionals who prepared the plans and specifications for this project are Karl Fischer Architect, Les Conseillers BCA Consultants (structure) and Blondin Fortin and Associates (electrical and mechanical). 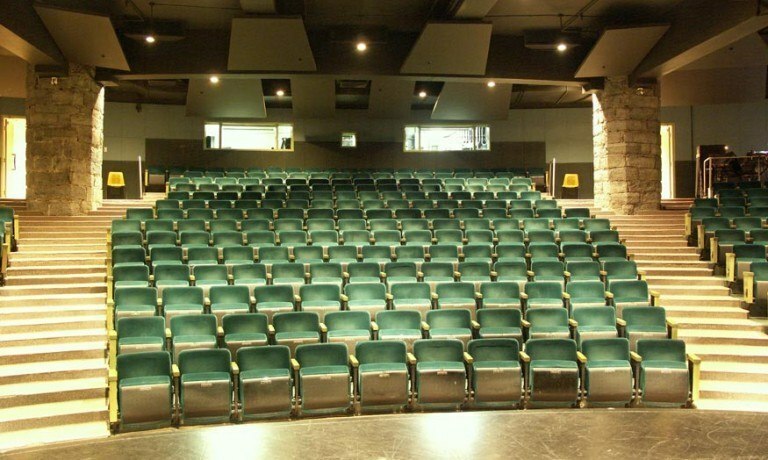 The PHI Center has added a new area located on the main floor to its four-storey multimedia center in 2014. 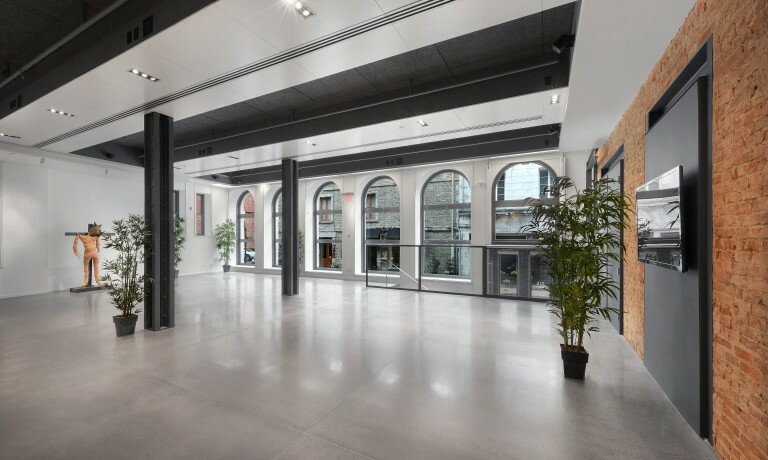 This new mandate accompanied by the multimedia redevelopment on the third and fourth floor of the building was granted by MODULE who transformed this space into a multifunctional venue equipped with a professional kitchen on the main floor. Like other areas of the PHI Centre, audio, video and optical fiber connections linked to other rooms are also present in the Espace Plateau. As for the redevelopment of some locals on the 3rd and 4th floor, addition and modification of multimedia devices and connections were made to better adapt to the use of these. Professionals who prepared the plans and specifications of the project are Shapiro & Wolfe Architects Atelier In Situ, Saia Deslauriers Kadanoff (structure), Seymour Levine Consultants (mechanical) Dupras Ledoux Engineers (Electrical), Technorm Inc. ( Consultant code), Minto Energy Management (LEED consultant). 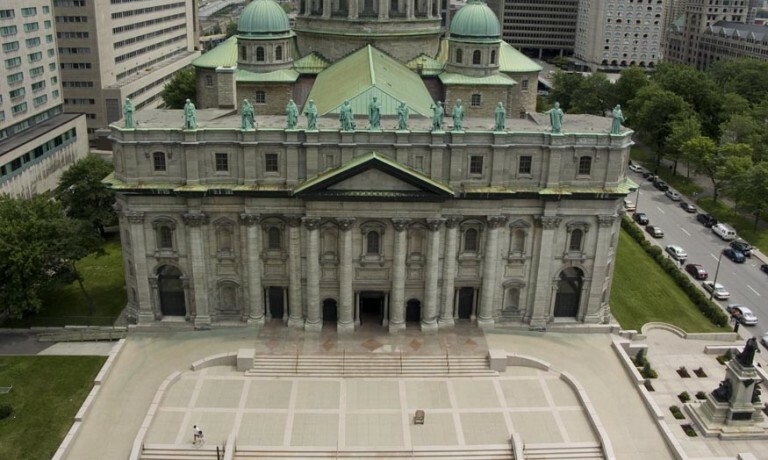 The most beautiful Cathedral in Montreal, historical classified, was restored to keep its prestigious appearance. This project consisted of the entire modification of the court, restoration of the facade and underpinning works to redress the statue. The architect who prepared the plans was Beaupré et Michaud Architects. 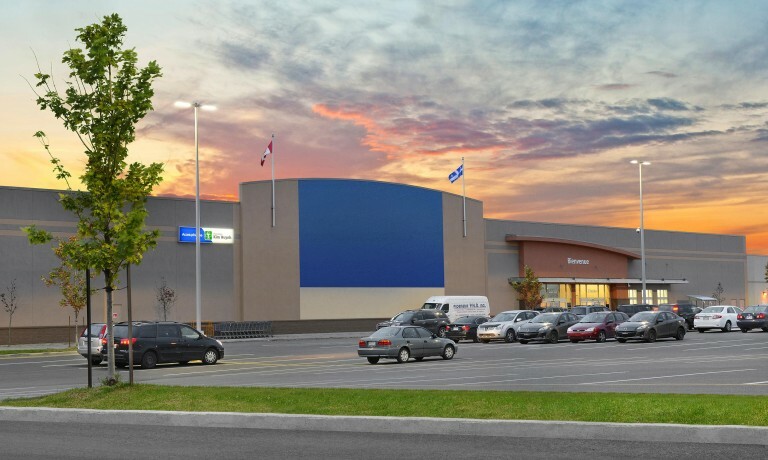 MODULE was mandated with the construction management mandate the expansion of IKEA store, located on Cavendish Boulevard in Ville Saint-Laurent. 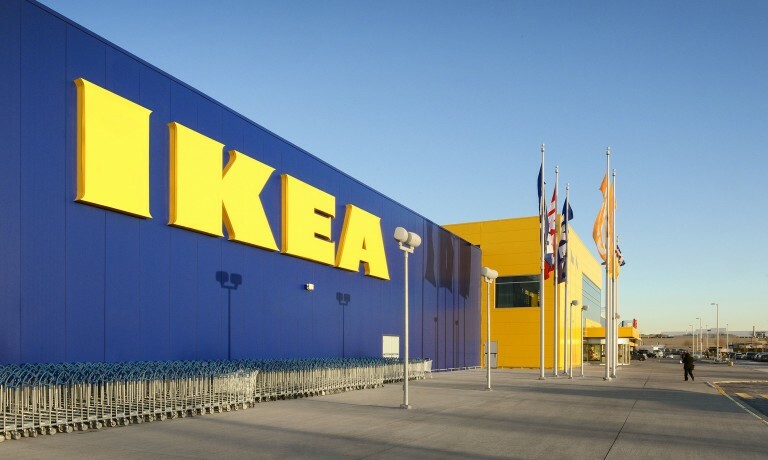 A major challenge of doubling the size of the store from 250,000 to 470,000 square feet. 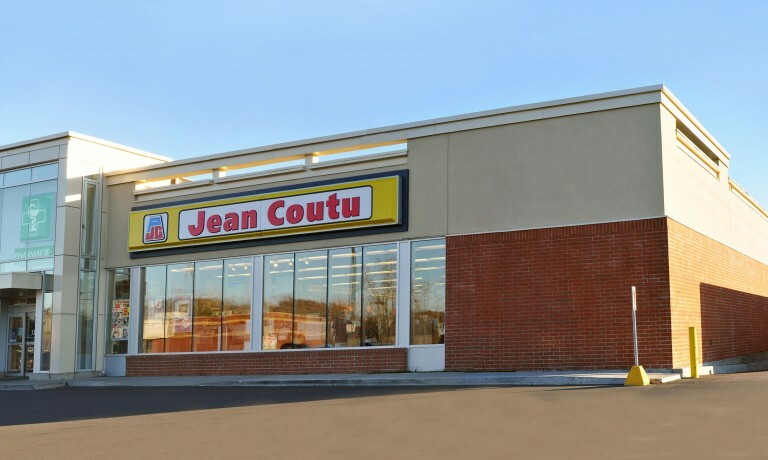 The complexity of the project was the fact that the store was to remain in full operation throughout the works in a limited time period while facing several changes during its duration. This project involves the demolition of an adjacent building in several phases and works to redirect the water and sewer. Nothing was left to chance in this project – everything has changed and reconfigured: expansion of the warehouse, new kitchen and extension of the showroom, adding 300 parking spaces, now bringing the total to 1,400 spaces, etc. The scale of the project was based on a site stretching from Highway 520 to Highway 40. The beginnings of this project began with the demolition on the east side of an adjacent building, soil decontamination and leveling the existing land – an equivalent of approximately 8,900 truck trips over a period of only a few months. As of February 2012, the first foundations were started and we delivered the first two phases in October 2012 which consisted of the expansion of 220,000 square feet. Everything has been implemented in this project to succeed in creating a domino effect by dividing the interior with beyond 17 phases. The project reached its completion after 20 months. 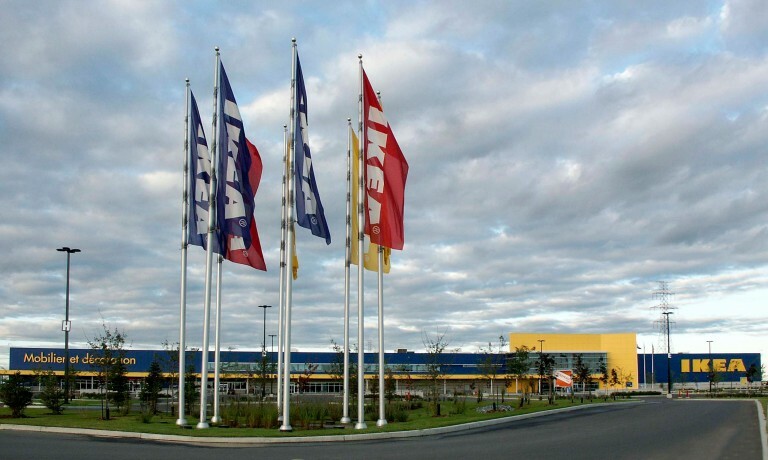 With such changes, this store became the largest IKEA in North America and the fifth largest in relation to the world. MODULE is proud to have made this project valued at more than $ 50 million. With the cooperation and expertise of the contractors and professionals, this project was a great success. The professionals who worked on this project were Neuf Architects, SDK (structure), EXP Tecknika HBA (civil engineering), Blondin Fortin (mechanical), Civelec (fire protection), Saban Consultants (electricity), Groupe IBI – D.A.A. (exterior landscaping), Genivar, Groupe Qualitas (geotechnical). 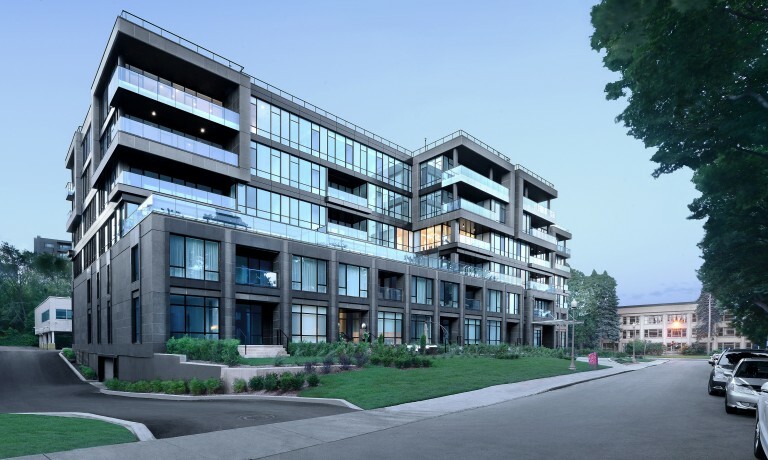 Located in the heart of Town of Mount-Royal, the Monatino is a luxurious condominium building of 1,200 to 3,000 square feet units on 5 floors and parking lots on 2 underground floors. 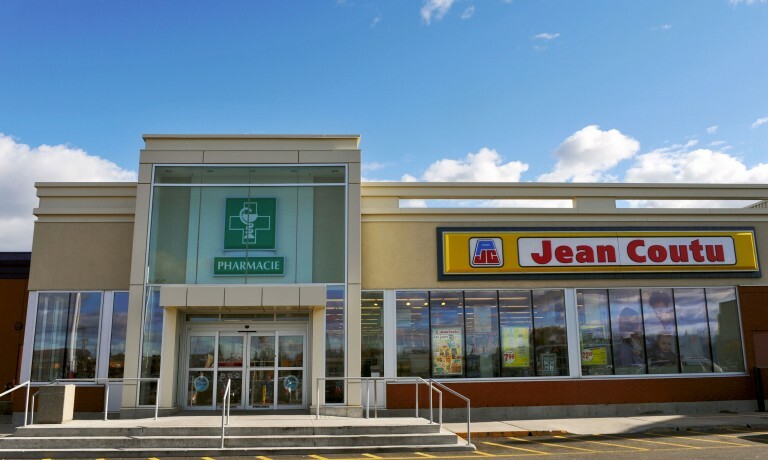 The building itself is made of concrete and has a fitness room and a Pharmaprix store on the main floor. The difficulties of this project, valued at $ 6 Millions, reside in the excavation works for the underground parking on two levels in the basement as well as the restricted space of its location since the plot used for the construction on the Monatino is surrounded by existing buildings still in operation. 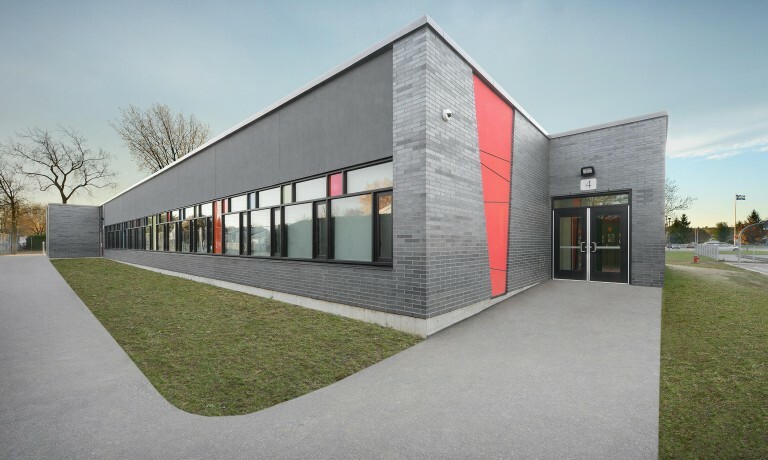 Following a public bid and ending up being the lowest bidder, MODULE succeeded to get the expansion project of an elementary school located in Mascouche, École aux 4 Vents – a project valued at $ 3.5 Million. 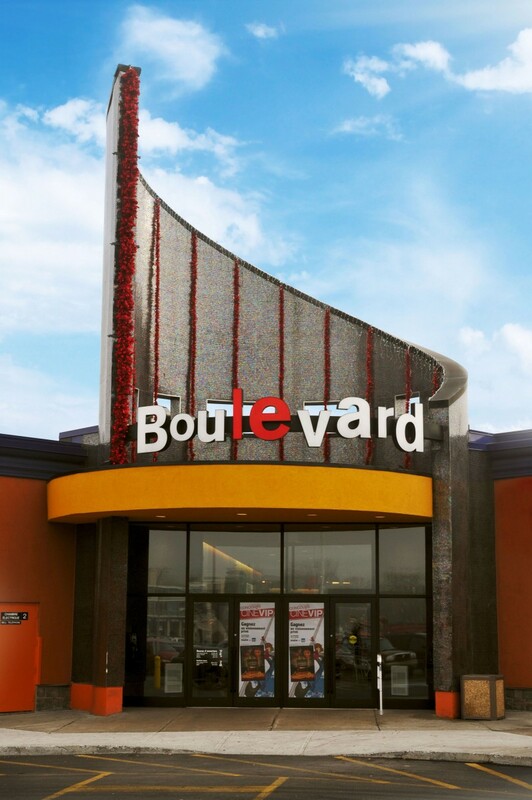 The expansion of approximately 17,000 square feet was composed of a steel structure and masonry and acrylic coating on concrete panels for the exterior envelope. This project gathered the addition of new classrooms, the renovation of the existing gymnasium as well as the reconditioning of the outdoor playground. Architects, CLA Experts-Conseils (structure) and Leroux Beaudoin Hurens and associates (mechanical and electrical). The completion of this renovation and expansion project of 14,000 square feet was granted by Module. This delicate project was to consolidate the existing foundations of this institution. Piles were first installed so that the structure can support the addition of a second floor. Simultaneously, a ditch was excavated in order to receive a new elevator . Once completed the second floor, the redevelopment of the existing institution started: installation of curtain walls and new masonry and execution of interior works including integrated wood furnishings matching perfectly with the walls and interior finish of the elevator. All work was completed in 10 months without any interruption of the institution’s daily operations. 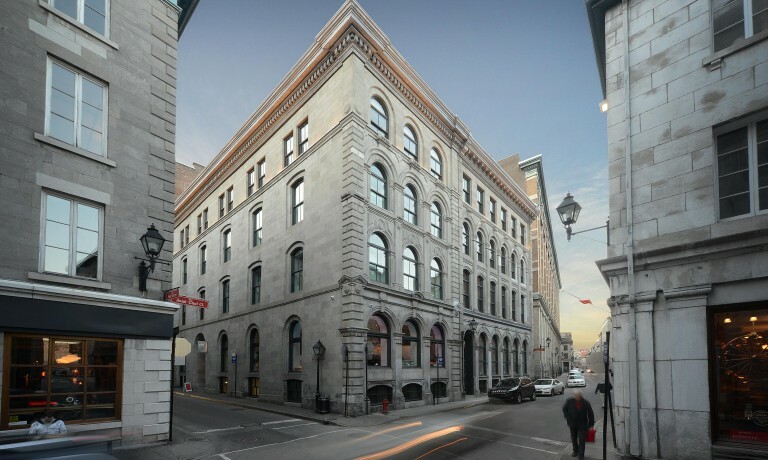 Located in the Old Montreal, at 10, Saint-Jacques Street, the Themis throned since 1928. This heritage building of 11 floors named after the Greek Goddess of Justice who watched in that time on law offices – these being to the origin of the name of the building. 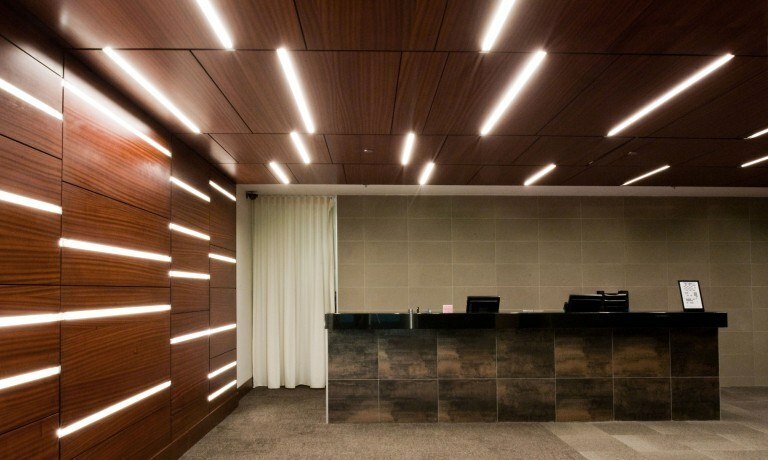 Today, the Themis covers 54 luxury condominiums and it’s to Karl Fischer Architect and project manager, Module, that this building got its spectacular renovation. The realization on the 10th and 11th floor with a private terrace, 5 penthouses (3 on two floors with a mezzanine and fireplace and 2 with an access to the roof via a spiral staircase that leads to an interior heated swimming pool). And that’s not all! Still Module had to keep the front facade of the Themis and reconstruct its original cornice on the 11th floor carried in 1966 by the wave of modernism of the 1960’s . To all this, add a lot of windows, a range of noble materials such as brass, stone, wood, granite and marble, and a mosaic of amenities, such as the concept of “turnkey”. 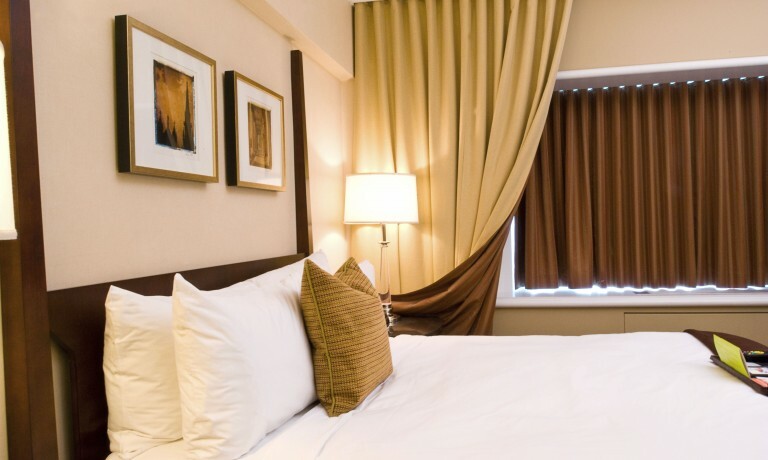 The New York interior look, the Italian kitchen, the view of Chinatown on one side with the mountains as a backdrop and the St. Lawrence River on the other, that charm the curious and the less curious of all nationalities! At the 16th edition of the Gala Habitation organized by La garantie Qualité Habitation et Plans de garantie ACQ, the Themis won the 2nd prize of multifamily recycling project for an upscale building. Construction McGill Sports Complex on a total area of 25,000 square feet on two (2) floors, including two (2) team rooms with showers. The interior renovations, such as the expansion of the gymnasium, addition of multifunctional rooms equipped with lockers and special floorings specially designed for the campus’s sports teams, and major mechanical and electrical works for the integration of new laundry rooms are parts of this project of more than $ 3 Million managed by MODULE. 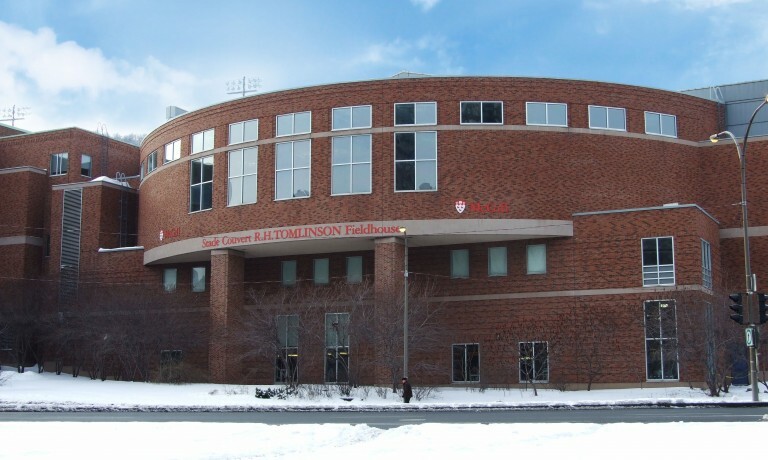 To successfully carry the work forward, including the interior concrete block walls of the sports complex of over 20 feet high, it was necessary for MODULE to adapt to the needs and campus life which stayed operational during the entire project and continued to meet its usual sports schedules. MODULE’s team has had to work on site day and night to finalize the project by creating a pleasant and friendly atmosphere for young athletes in a modern area with dynamic colors. Complete renovation of the grocery section on day and night shifts. Kitchen renovation: Demolition and removal of the existing service line, equipment, walls and floor finish, replacement of new installations and roof and electricity works. Renovation of all floors in several phases during night shifts. Construction of the new Kang Yee Center which includes a first building with wooden structure with 19 units on 3 floors and a second building with a concrete structure of 65 units on 5 floors. This is a project funded by the City of Montreal for the retired Chinese community. Initially, the project was beyond the base budget and it was only after several interventions between various professionals and Module as the two buildings forming the center in question were built. The Kang Yee Centre is located between Billion street on one side and Hôtel-de-Ville street on the other. Although it is surrounded by old buildings, it is well integrated into the landscape of the neighborhood and its architectural harmony. The special feature of this center is the delimitation of the area: it was “made ​​to measure” in a well defined area, surrounded by buildings and extending from one street to another . 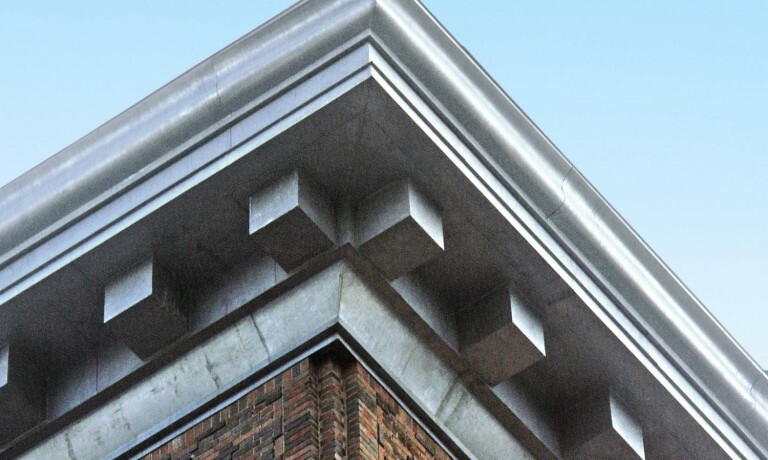 The architect who worked on this project was Douglas Alford and the structural and electromechanical engineers were Sylvain Parr & Associates and Martin Roy, Ingénieur Conseil. Midtown Sports Center has selected Module by entrusting the spectacular renovation of its complex of 40,000 square feet. 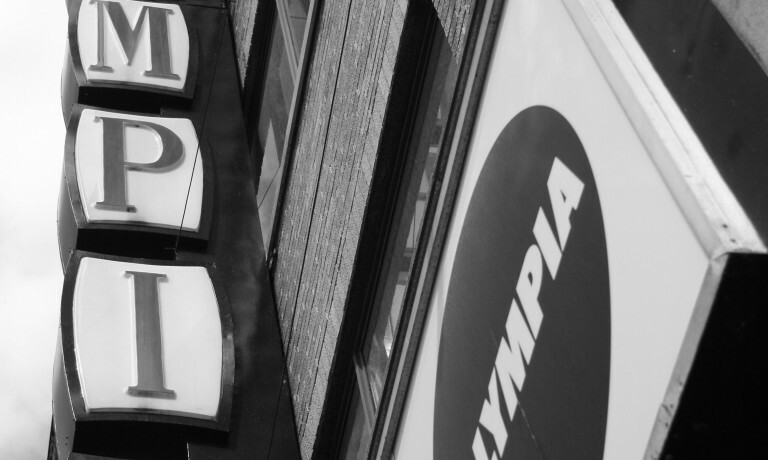 All work was performed without interrupting the ongoing daily operations of the center. Major transformations of the public areas, locker rooms, spa, banquet hall, restaurant and swimming pool were completed in six (6) phases. The finishes demanded precision works to incorporate wood materials, ceramics and glass that were distributed throughout the project. The phases were carefully coordinated so as not to delay the planned schedule. Each phase was like a puzzle, always moving. The creation of the access path and temporary space to the construction site was to satisfy a very demanding clientele. 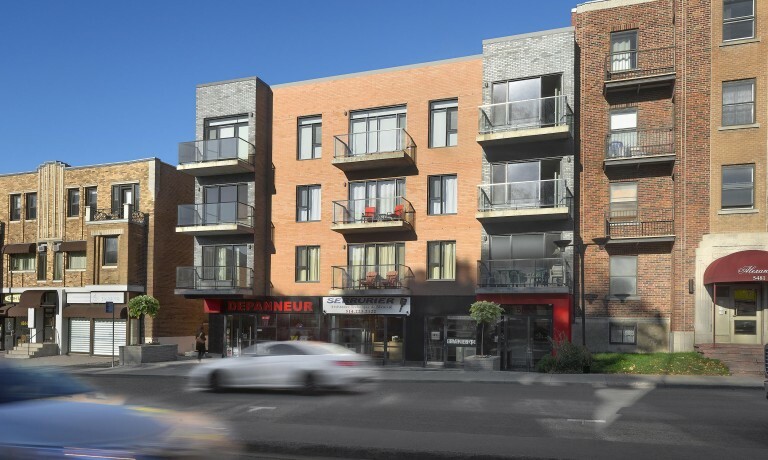 The project of the 5505 Queen Mary Condominiums in Montreal is a construction of a new four-storey building in concrete with an underground parking lot. Public safety and neighboring buildings require precise and meticulous attention to avoid any damage that may occur during excavation, structural and exterior envelope works. Also, the quality of finishes (ceramic, wood flooring, kitchens, etc.) plays a key role in the success of this project. The work therefore requires coordination of all trade contractors, professionals and staff to be able to perform the work with efficiency and quality. 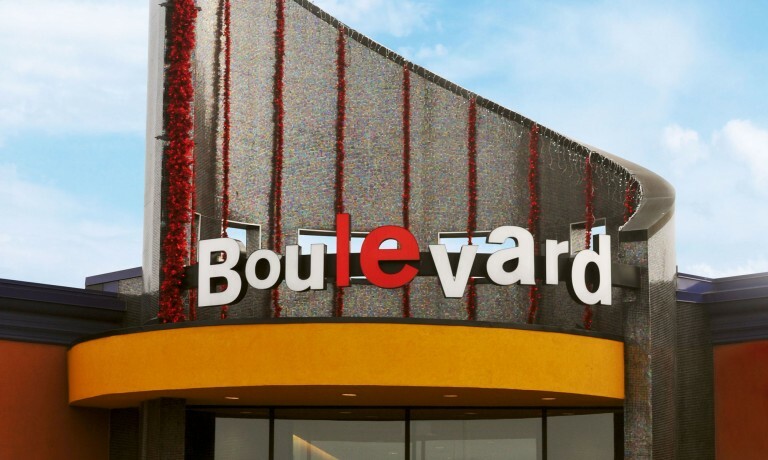 The professionals who worked on this project were Atelier Ville Architecture Paysage (architecture and landscaping), Le Groupe Solroc (foundations and underpinning), Ingcon Consultants (structure), MLC (mechanical and electrical). This is a complete restoration of cast iron doors and the exterior porch and the renovation of offices in the basement . Each door is made of over 600 pieces of which have been disassembled, repaired and reinstalled. One of the doors has been transformed into an automatic emergency door. The DHC ART Foundation has decided to retain the professional services of Module and gave them the mandate to transform a historical building listed by the Ministry of Culture. This building, which will house a museum dedicated to contemporary artists, has been completely renovated. Major structural modifications were first made: the complete stripping of the interior, creating a glass atrium on the ground floor and the installation of new skylights. A high quality finish enhanced by a panoramic lift, decorative staircases with glass railings, decorative steel walls and raised removable floors were filled with Sapele wood to accommodate several exhibitions. Professionals who have prepared the plans and specifications of this project are Shapiro & Wolfe Architects, Volume 3 Design, Saia Deslauriers Kadanoff, Seymour Levine Consultants, Consultants Orval, Civilec Consultants Inc. 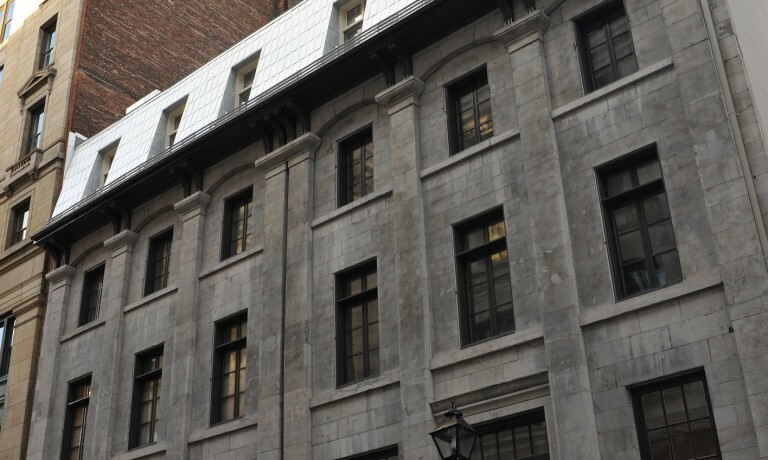 Located in the Old Montreal, the four-storey building has been converted into a multimedia center. Module was mandated at the beginning of the purchase process of the property by the Owner to coordinate with professionals for the complete transformation of the building while respecting the outer envelope classified as historical heritage. 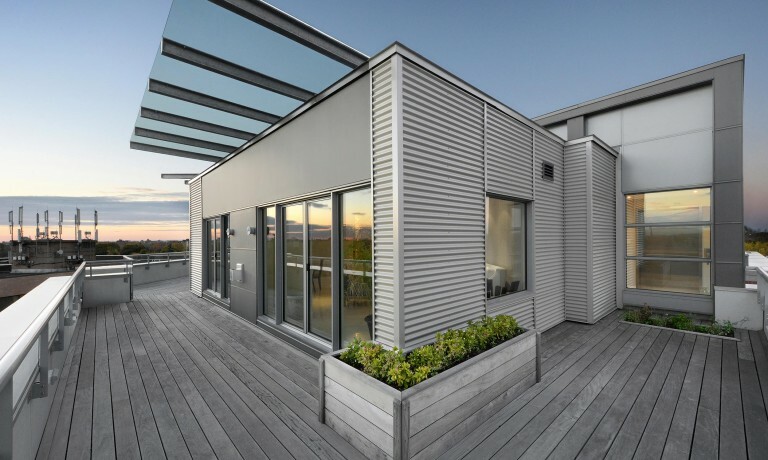 Module’s experience was utilized to reconstruct a mixed structure comprising a concrete structure with steel reinforcement and an existing wooden structure to meet the new standards and building uses. 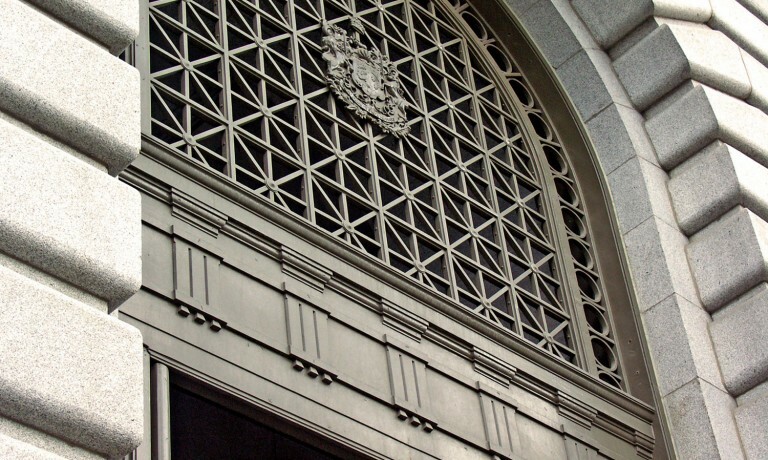 The exterior envelope of the building has been restored, such as doors and windows, masonry and cornices while respecting the historical aspect of the building. 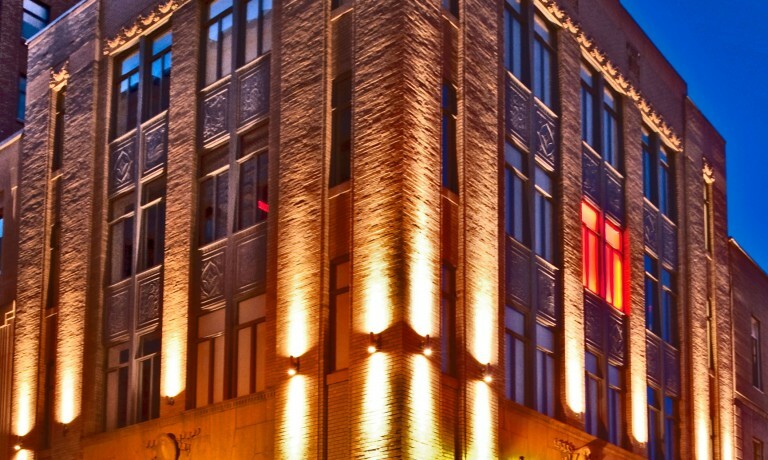 The Owner’s requirements were taken into account by Module and professionals to transform this historic building with LEED certification. PHI Center was awarded for the Excellence Prize in Architecture Award in 2013 of Quebec Order of Architects in the category of Conversion and Recycling. The professionals who participated in this project were Shapiro & Wolfe Architects, Atelier In Situ, Saia Deslauriers Kadanoff (structure), Seymour Levine Consultants (mechanical), Dupras Ledoux Ingénieurs (electricity), Technorm Inc. (code consultant), Minto Energy Management (LEED consultant). 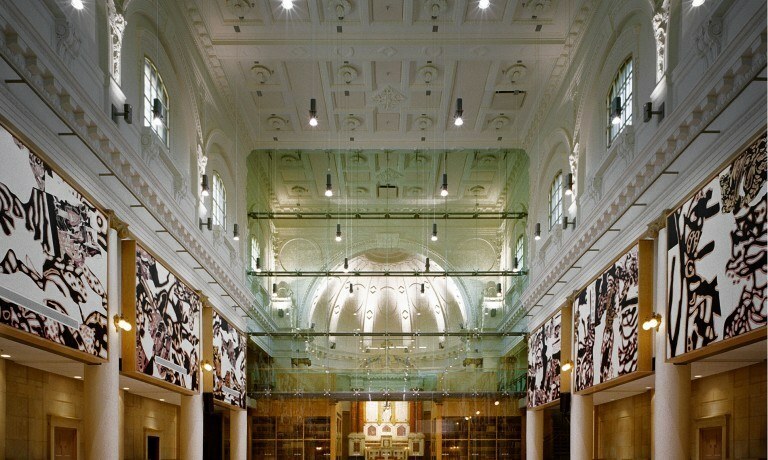 The transformation and restoration of the old chapel of Jean-de-Brebeuf College, from the 3rd to 6th floor, into a multipurpose room and theology library for Compagnie de Jésus was one of Module’s outstanding projects in the early 2000’s. Including back rood screens, walkways, glass screen and glass wall at the center of the old chapel, success was shared between Beaupré Michaud Architect for the design and Saia Deslauriers Kadanoff Leconte Blais Brisebois, Desseau Soprin and CPA Verre Structurel Inc. for the structure, electromechanical and glass wall. Having the ability to house more than 200,000 volumes, the room in question not only plays an educational role but also makes room for many works of arts from René Derouin, since 2004. 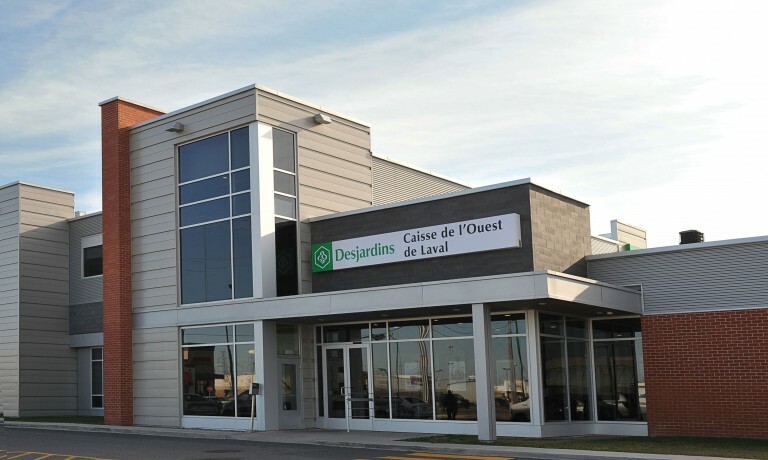 The development work of the base building for a particular tenant located at Cote-Vertu Mega Center in Ville Saint-Laurent was managed by Module II Construction until the month of February 2013. The works consist mainly of demolition, decontamination of the existing building, restoration of the interior slab on ground, modification of the mechanical and electrical systems and complete redevelopment of exterior facades, structure and roof. 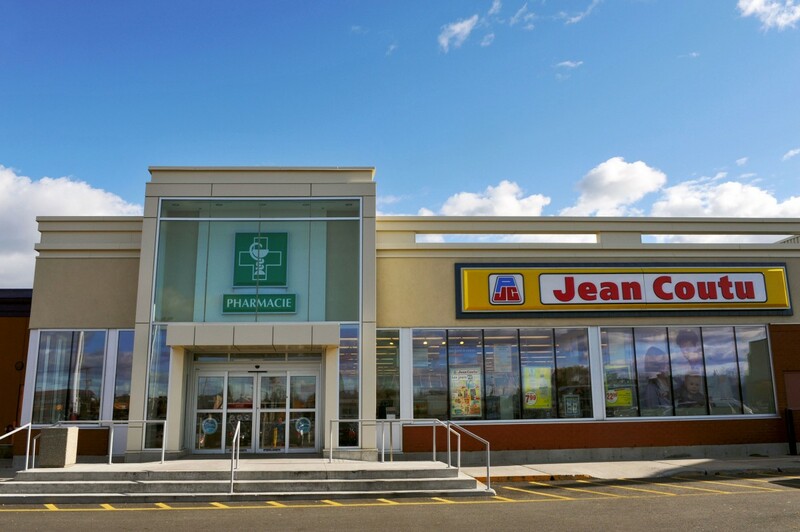 Renovation works of Le Boulevard shopping center’s entrances and hallways and redevelopment of the base building for new tenants such as Jean Coutu pharmacy, New Look eyewear store and Urban Planet, located at 4270 Jean-Talon East, in Montreal. The architects who worked on this project were Stendel + Reich Architects.